The New Generation of TCGs! 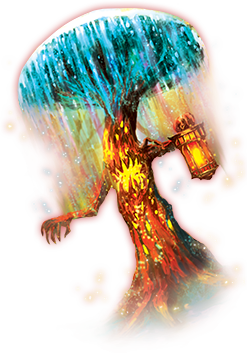 You now more than likely know from the About Page that the Exodus TCG is a simple-to-learn, fast-paced card game with some interesting aspects like card rarity playing into mechanics, and no banlists. But let's look deeper into some of the ideals that drive this game, along with the in-depth elements behind it that really make Exodus different from what's out there. The Exodus card game is fully designed, published, and maintained by two people: brother-sister team Jake and Lexi Medina. We spent a large part of our childhood playing a countless amount of card games--everything from the big titles down to the lesser-known and now-out-of-print games. It was through playing so many TCGs and growing our love for gaming that we had the revolutionary idea to develop a game of our own; and not just for ourselves--but one to share with the world. We saw a definite need in the card game market for something innovative, fresh, and new--and with that in mind, we sat down and designed Exodus for a full year. Because of our background and experience with TCGs, we created a lot of Exodus' features and inner workings in foresight. One of the first major design decisions made was that Exodus was going to be a fast-paced card game that would take no more than an average of 10 minutes to play. When we were younger, just about every time we tried to talk adults or even some of our friends to sit down and play a card game with us, we were often turned down simply because of how time-consuming and complicated some games were. We knew we weren't alone in this struggle, and figured tons of kids and gamers around the world could relate to this. 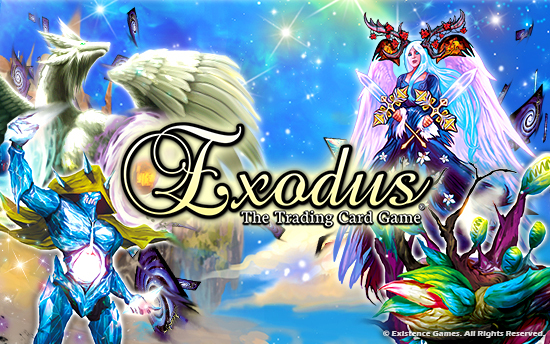 Thus, we decided that the Exodus TCG would be a game that no one could turn down for its playtime or complexity. Our goal was and is for people to come back to the heart of tabletop gaming--which is pure fun and community. By eliminating all of the time it takes to learn and comprehend a new TCG, players can jump right into the thrill and truly enjoy the game as they should. It was also established very early on that our game would be visually safe for people of all ages, knowing that part of our audience was younger kids. Our favorite art genre was and most likely always will be fantasy, but we couldn't help but notice the excessive dark and inappropriate themes saturating the art style. A combination of not agreeing with many fantasy themes, not wanting to blend in and follow the style of every other game that's released, and having a specific taste in fantasy art ourselves, led us to set the artwork standard and general style for Exodus. As every TCG gamer knows, a huge part of card gaming is deck-building--a strategic and creative process of choosing cards that work well in harmony together to form a unique deck that's different from everyone else's. But there's usually a catch, like you can only use cards of a certain type together, or you can't have more than x amount of cards in your deck. With the Exodus TCG, we made sure we would give our players as much creative freedom with deck building as possible, so that players wouldn't feel limited in competitive play. There is a 2-copies per card limit and a minimum of 20 cards in both the Main and Energy decks, but other than that, the sky's the limit! There are absolutely no type restrictions, meaning you can combine Dragon-type cards with Angels, or even have a mixed deck with some of every existing creature type. The choice is all yours, and the options are endless! Because of how we design all of the cards and keep the game entirely balanced, there is no "meta" in which certain deck types and builds are "the one and only deck to play" or "the best competitive deck". Even though there are currently only 3 Exodus sets out, there's an astounding amount of combos and different playstyles that are all yours to explore! You may or may not have noticed that creature and energy systems in the Exodus TCG aren't based on typical numbers and types. We intentionally designed each of the creature cards without built-in numbers and power levels, so that you as the player get to decide how strong each and every one of your creatures on the field will be. 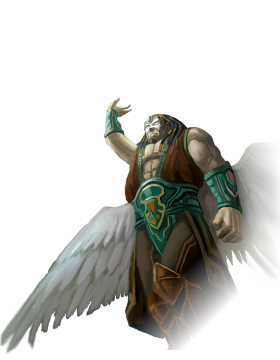 We came up with this idea because often times in games, we'd get an awesome-looking creature with amazing art, but a not-so-amazing ability or power level--and vice-versa. With Exodus Energy cards (which are each worth 1 point or power), you control how much or how little goes behind your creatures, and the strength of your field is determined entirely by you! You're granted additional field influence with the use of Symmetry cards (effect cards) which can be played instantaneously at any time in the game to alter the events and affect both you and your opponent(s). The dynamics of this game are truly unlike any other, and once you play and see Exodus in action for yourself, our game design will really start to click and make sense. As mentioned earlier, Existence Games is a company of two passionate young gamers and entrepreneurs with a true love for gaming itself and an endless desire to treat their players well. But rather than using our smaller size as an excuse for things like why our set releases are slower than average, it's a reason for some of the things we do right, like taking the personal time make sure new expansions are balanced and provide good value for everyone. It's because we're not currently a big corporation that we personally attend to all questions, concerns, and all areas of our company outside of game design (like marketing, web development, convention exhibiting, and more). And fear not--we're in this for the long haul! Exodus the Trading Card Game has proven itself with people of all experience levels and playstyles, and we continuously plan and begin developing 3-5+ expansions ahead so that there's always incredible new content waiting in the wings for you. But how do we do all of this, you might be wondering? There's only two people running this show, right?! 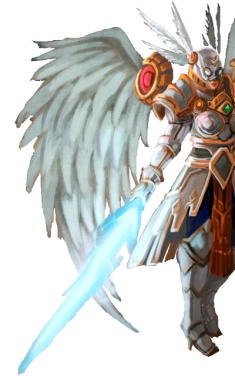 Through many--many--long hours, dedication, organization and management of time, and little bit of life balance to keep us sane, we keep the Exodus TCG operating and progressing forward one day at a time! But it's largely in part of people like you--the readers, followers, players, and supporters of our game that really keep this running. A game needs a community, after all, and you make up that incredible group of people! We hope you've found something in the Exodus TCG that really speaks or caters to you, and if you're still looking to learn more or have questions, we've got you covered! Jump over to the Official Rules page below and read about or watch how Exodus is played, and Contact Us if you have any questions of your own. We hope you have as much fun with the game as we did making it, and please let us know your thoughts once you've given the game a try!